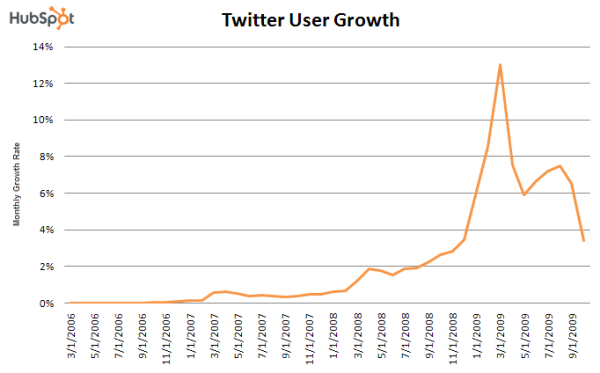 According to HubSpot’s recent report ‘State of the Twittersphere‘ Twitter growth has slowed from a high of 13% in March of 2009, to a low of 3.5% in October of 2009.
total tweets in our study. The $20M Pepsi Challenge Americans Consume A Lot Of Data. A Lot.